MOSCOW, January 22. /TASS/. /TASS/. Ten people have died in the fire that broke out onboard two vessels near the Kerch Strait and ten more remain missing, the Novorossiysk maritime rescue center told TASS on Tuesday. "Search continues. According to latest reports, 10 people remain missing, 10 bodies were recovered, and 12 people were rescued. The fire on ships continues blazing. It will not be extinguished until all the gas burns out," a spokesman for the rescue center said. 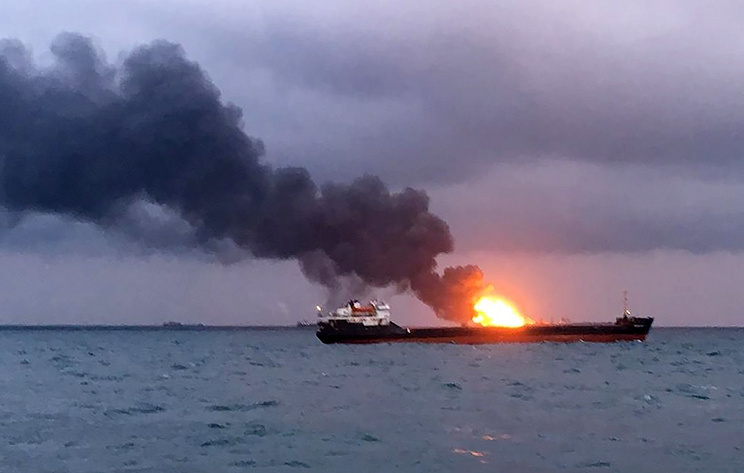 On Monday a fire broke out onboard two vessels near the Kerch Strait off Russia’s territorial waters. One of them, the Candy, had a crew of 17, including nine Turkish citizens and eight Indian nationals. The other one, the Maestro, had a crew of 15 (seven Turkish nationals, seven Indian citizens, and an intern from Libya).